After years of declining sales, frozen foods are making a comeback. 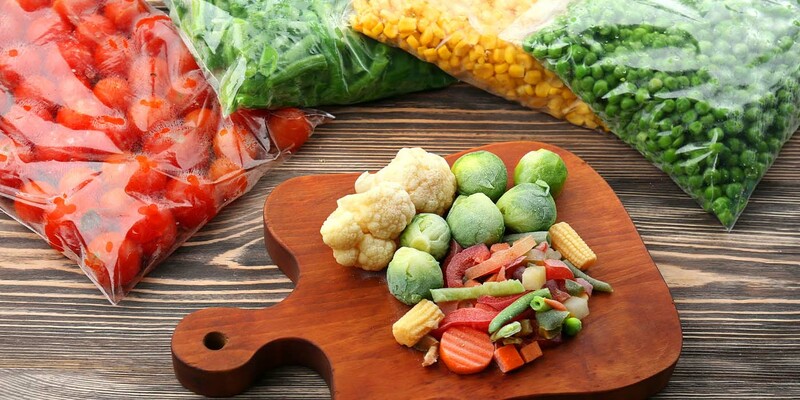 Frozen food sales rose 2.2 percent overall last year, and frozen vegetables jumped 4.5 percent, according to the latest Nielsen data. With March's Frozen Food month just around the corner, find out why people are taking a closer look at frozen, and how a little promotion savvy can help you increase sales not just in the frozen category, but all across store—including the fresh departments you’re known for! Preserved at the peak of freshness, frozen fruits and vegetables offer the flavors of fresh, ready to use whenever you need them. “In many cases, we’re looking at from field to pack in 72 hours,” agreed Rod Anderson, director of sales for Pinnacle Foods, an IGA Red Oval partner. For several vegetables, such as green beans, broccoli, and corn, the ability to freeze immediately after harvest results in a more flavorful product than the ones that take weeks to travel long distances to stores to be sold fresh," he said. It appears that people are catching on to this, seen in strong sales of frozen vegetables, which jumped 4.5 percent in the last year to $3.03 billion, according to Nielsen Data. IGA’s Kim Kirchherr, registered dietitian and IGA health and wellbeing adviser, agrees. “Frozen fruits and vegetables got their start on a farm just like fresh options. They just have a different storage capacity built in for convenience, which is great to manage food safety and food waste while benefiting from nutrition and ease of preparation, so they are great companions to the fresh, local favorites IGA stores carry from all the food groups,” Kirchherr said. “People can start with the basics to incorporate into whatever eating style they’re excited about,” said Kirchherr. In addition to time-saving benefits, using frozen to round out meal preparation can give a home cook a confidence boost, she said. For example, if you don’t have strong knife skills, frozen veggies are already cut for you. Or you can buy pre-cooked and frozen seafood if you are unsure about how to prepare certain types of fish, she said. Not to mention having a well-stocked freezer gives extra flexibility. “All the food groups are in your house all the time if you stock your freezer with all the great options available to us now,” said Kirchherr. According to the National Frozen & Refrigerated Foods Association (NFRFA), there are more than 3,700 different foods represented in the freezer aisle, including many wholesome options that cover breakfast, lunch, dinner, snack-time, entertaining, and specialty food occasions. Kirchherr and Anderson point to trending items that make it easier to incorporate fruit and vegetable options, such as pasta-shaped veggies and riced cauliflower. Even frozen pizza manufacturers are incorporating more veggies in toppings and experimenting with cauliflower in crusts. Vegetable protein convenience foods are more flavorful and interesting than they were in the past, too, said Anderson, pointing to meatless “fish” and other meat substitutes. Pinnacle’s Gardein brand has quadrupled its sales in recent years, he said, largely due to “flexitarians,” people who aren’t adhering to a specific diet but are looking to curb their meat consumption for personal reasons. According to Anderson, while even five to seven years ago gluten free options or meatless chicken tenders might have been specialty foods, they are now mainstream and premium products grocers don’t want to miss out on, especially since many are selling at higher price points than traditional frozen offerings, making it a win for people trying to add more vegetables and diversity into their meals and for businesses wanting to meet their shoppers' demands. Consumers’ increased desire for food transparency have led to additional improvements in the quality, ingredients, and variety of prepared frozen foods. According to NFRFA, an emerging trend in prepared frozen entrees are food manufacturers working with expert chefs in innovative test kitchens across the country to develop and market new dishes. For Kirchherr, another big benefit of frozen is the ability to exercise portion control. “No matter what the eating occasion is or how you choose to eat, you can portion out entrees, and pair frozen options with fresh salads, or a whole grain side,” she said. Examples she gives: “take-and-break” pre-made cookies allow you to make as many or as few as you want to help keep an eye on more decadent options, or buying the big bag of frozen veggies, using what you need, and saving the rest for future meals. With portioned meals and pre-cut produce that doesn’t leave anything to waste, frozen foods offer great value for the consumer. Pick a theme: Easter is in April this year, and with Lent taking place through most of March, it could mean customers looking for frozen fish or meat alternatives. Or go with a more general “Meatless Mondays” theme. Whatever direction you go, put the theme front and center and build promotions around it, and suggest pairings with seasonal fresh items or other food groups throughout the store to complete the meal. “Stock up” sales: A solid way to go that will build the basket. A key to a successful event lies in promoting major brands along with private brands. Lead with top-selling brands to build your sales line. Displays should include two featured lines that have strong interaction and co-purchase. Use signage: Consider new ways to point people to the frozen aisle(s), through cart banners and “point of interruption” stand-up signs in the front half of the store. The long-standing problem with frozen is that signage is not solution-based and the consumer does not have a reason to shop the aisle, so provide a reason that stems from a solution. Consider key selling points: Drawing shoppers into your frozen aisle is paramount. For instance, you might fare well grouping your starch alternatives together, or setting up a special case that pairs protein options, such as fish, next to veggie sides. Use “blade” signs to indicate sales items such as “BOGO deals” or items that are fast to prepare (i.e. “ready in 5 minutes!”), so they stand out to your customers. Promotion planner: NFRA has some tips and POS materials available for promoting Frozen Food Month on its website and in this digital booklet. Extend the shopping trip: Keep an eye on IGA.com's Better Choices blog, where at the beginning of March Kim Kirchherr will be featuring easy ways to incorporate some of your frozen food offerings into everyday meal planning--especially those meals that include "Local Equals Fresh" options.